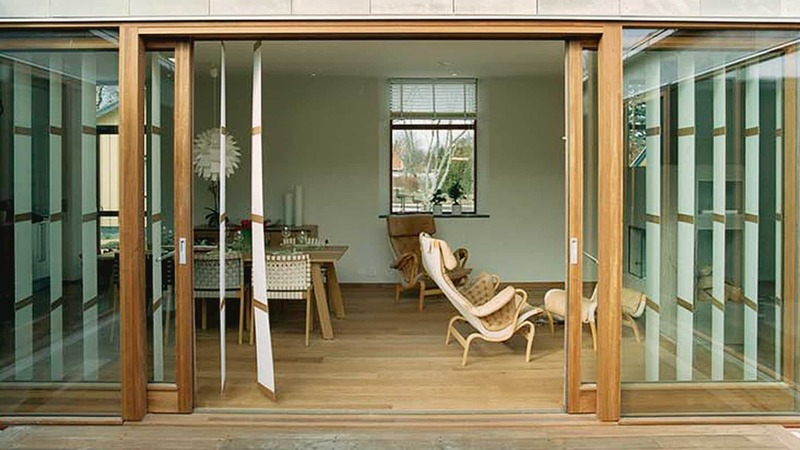 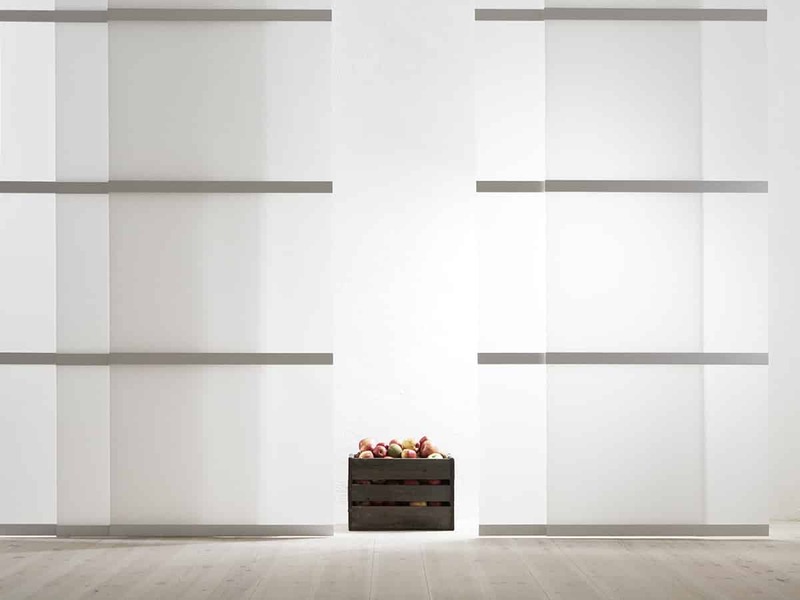 Many products within the Ann Idstein product range are based on the use of horizontal slats but there are situations where a vertical slat has clear benefits. 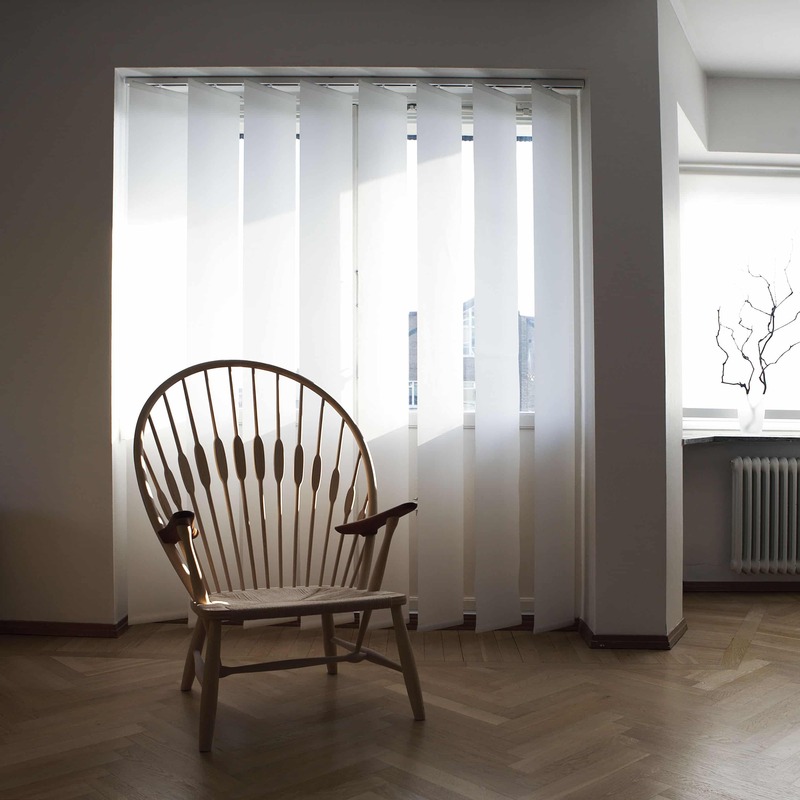 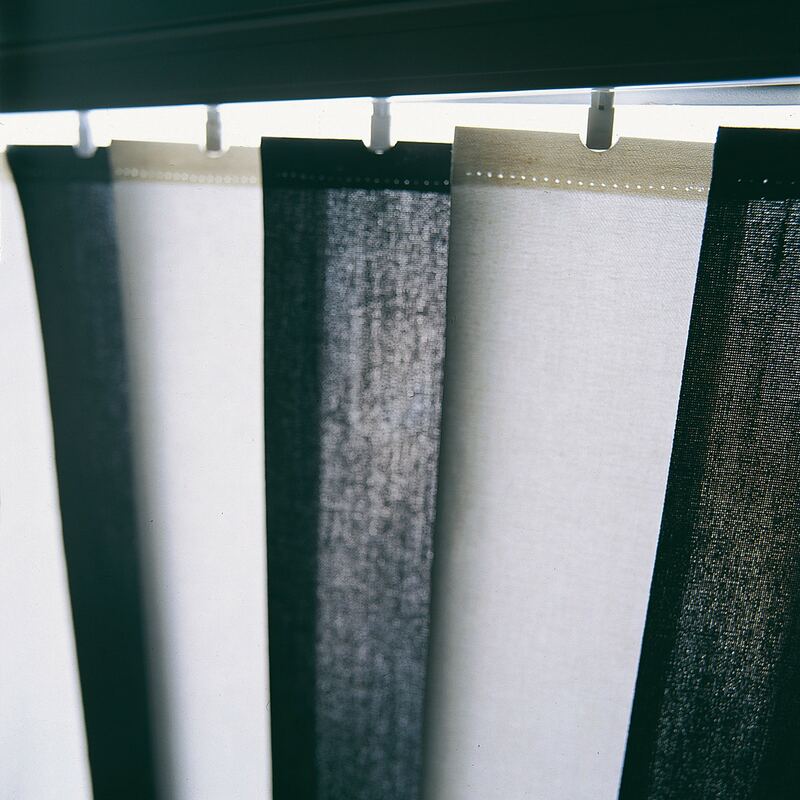 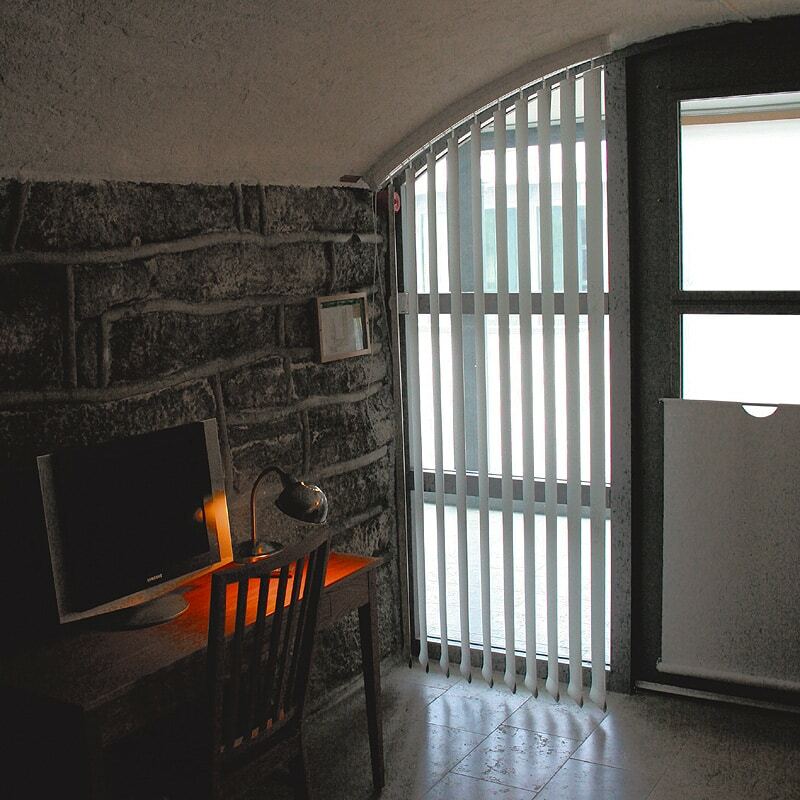 The vertical slats are slid aside rather than pulled up or down, which means that no stack of slats is created above or in front of the window. 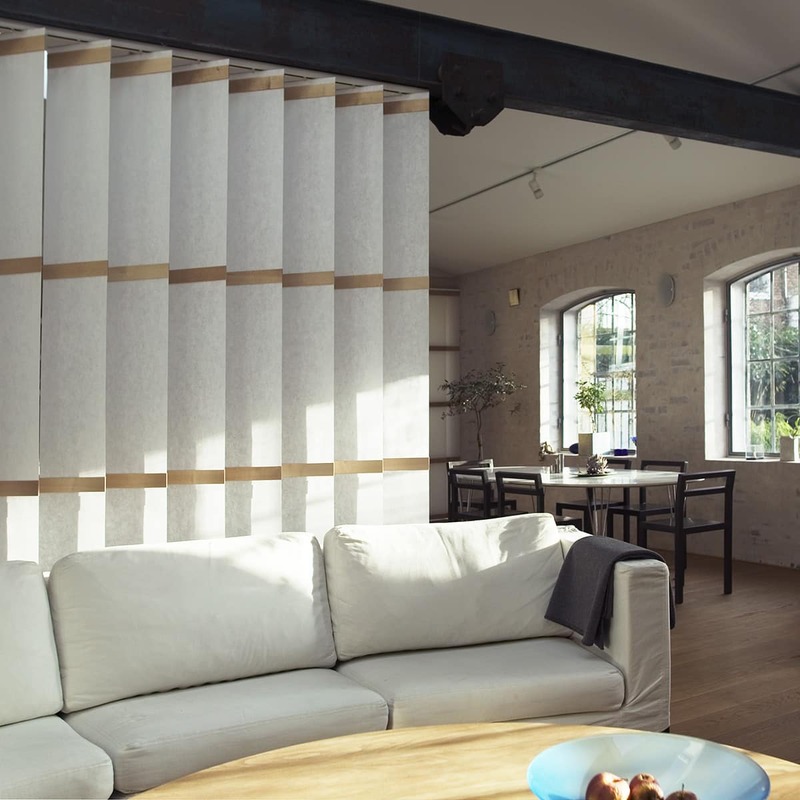 Vertical slats can cover a full window front, offering protection against the sun whilst still offering a view outside by tilting the slats. 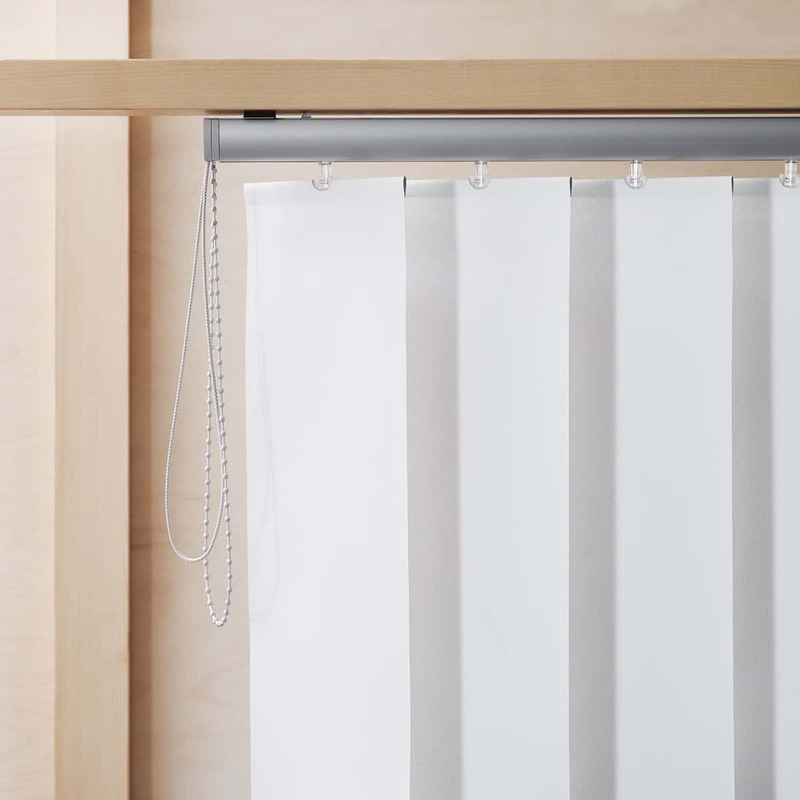 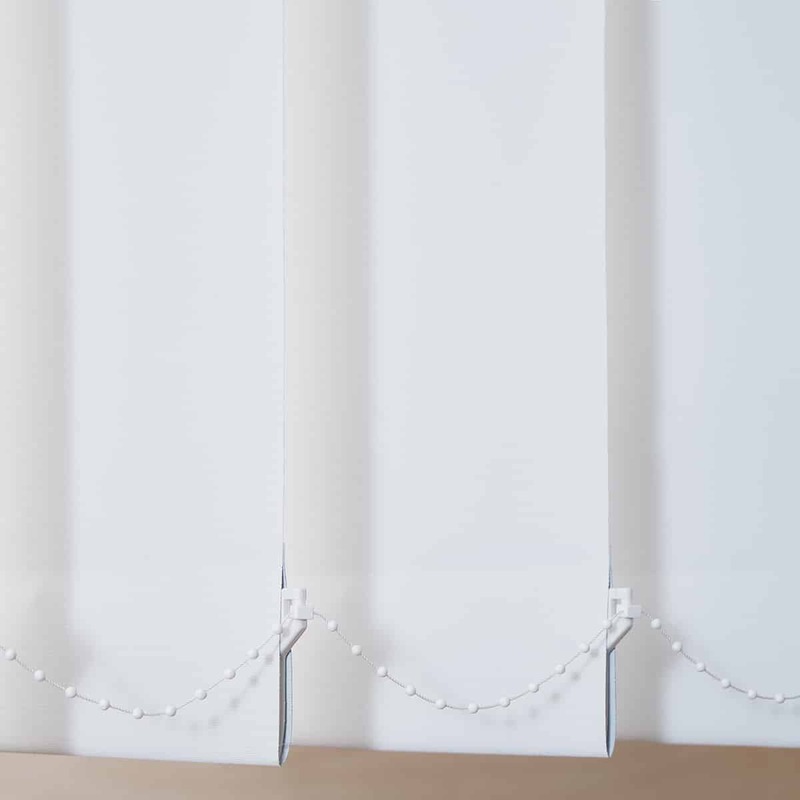 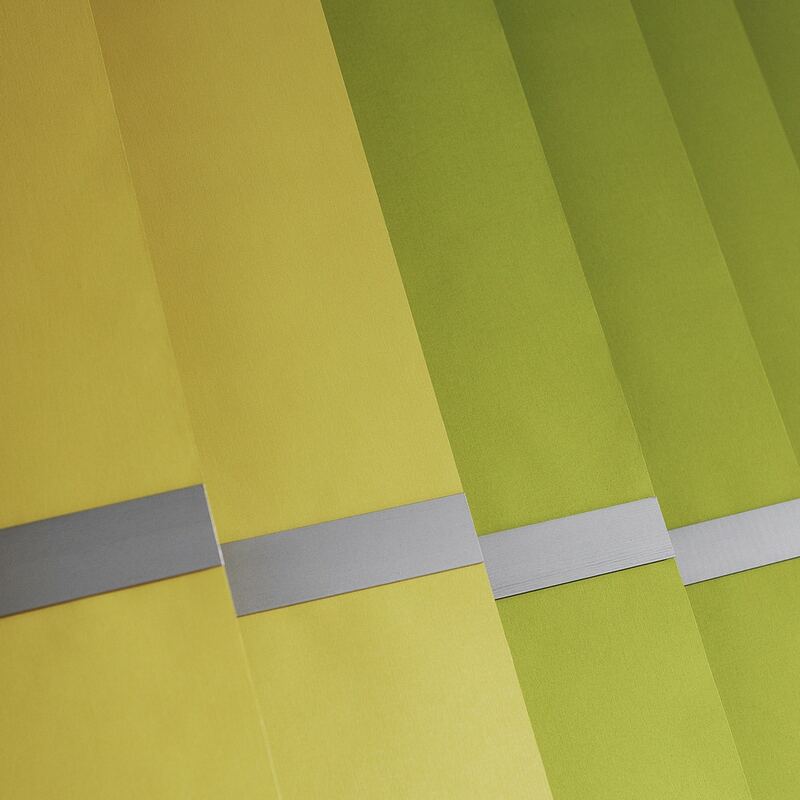 System R is based on 250 mm wide vertical slats and apart from the slat width, it shares its components with our regular Vertical Blinds in 89 and 127 mm width. 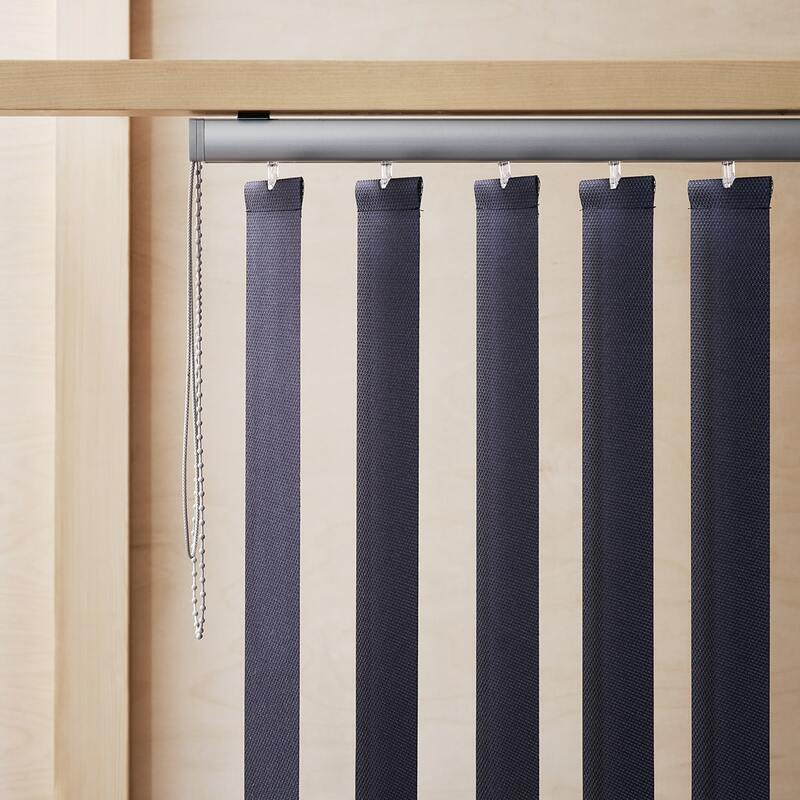 Based on the fitting situation, there is always is slat width that fits. 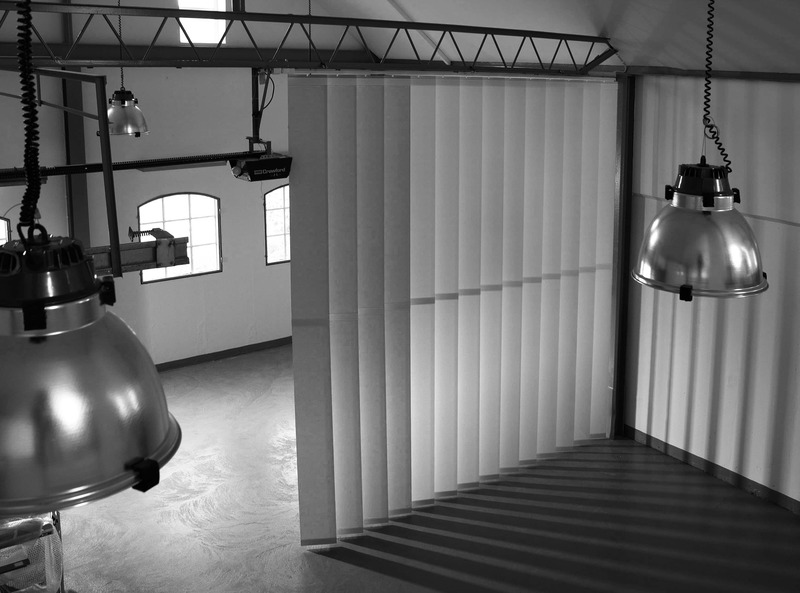 The 250 mm wide System R slats can also be equipped with wooden slats, that are applied horizontally on top of the fabric. 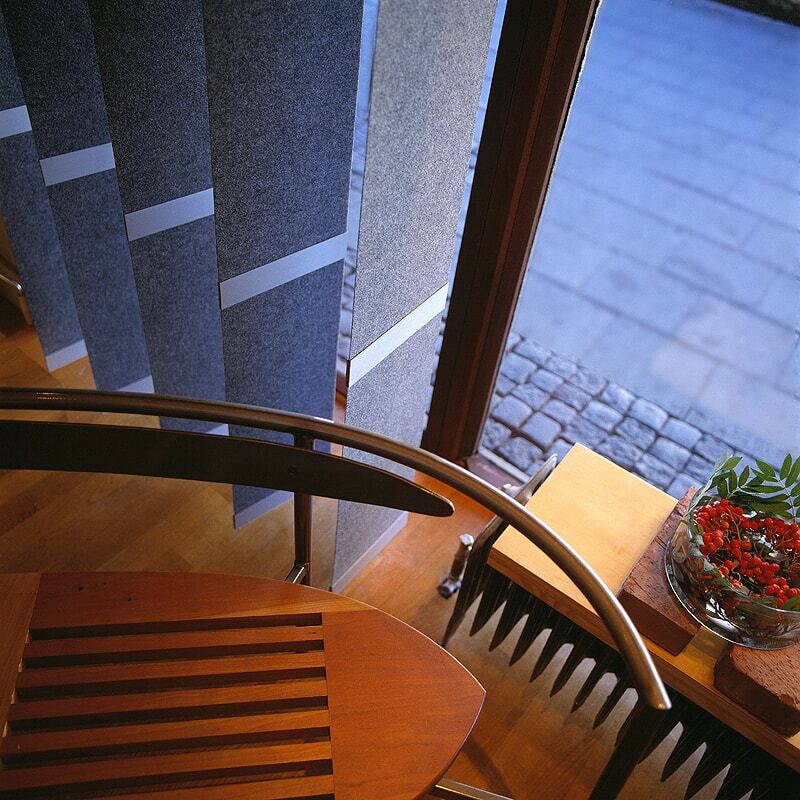 There is a wide range of both solid wooden slats and laquered slats in a multitude of colours. 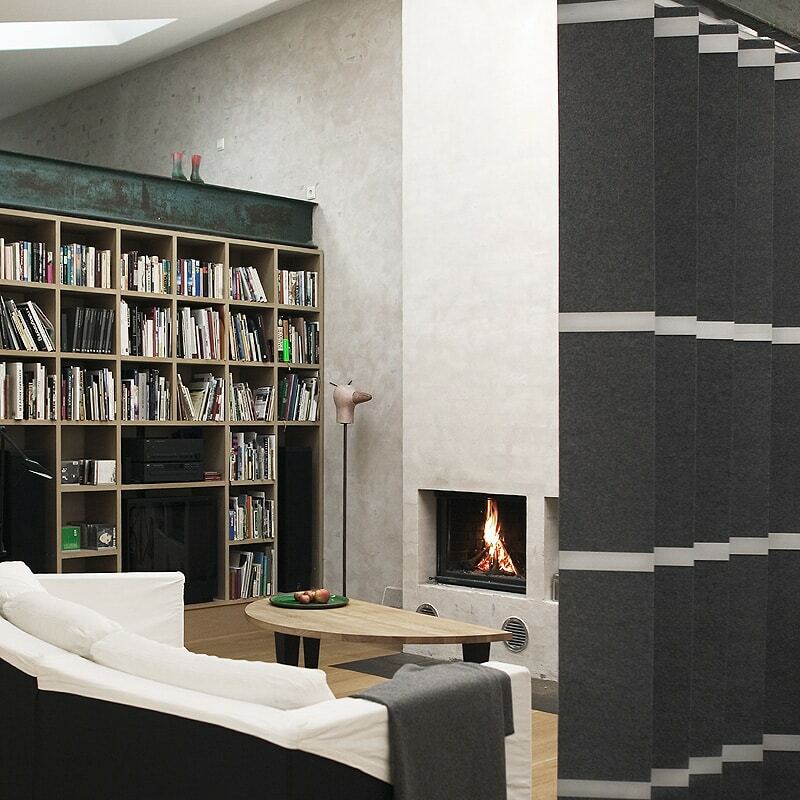 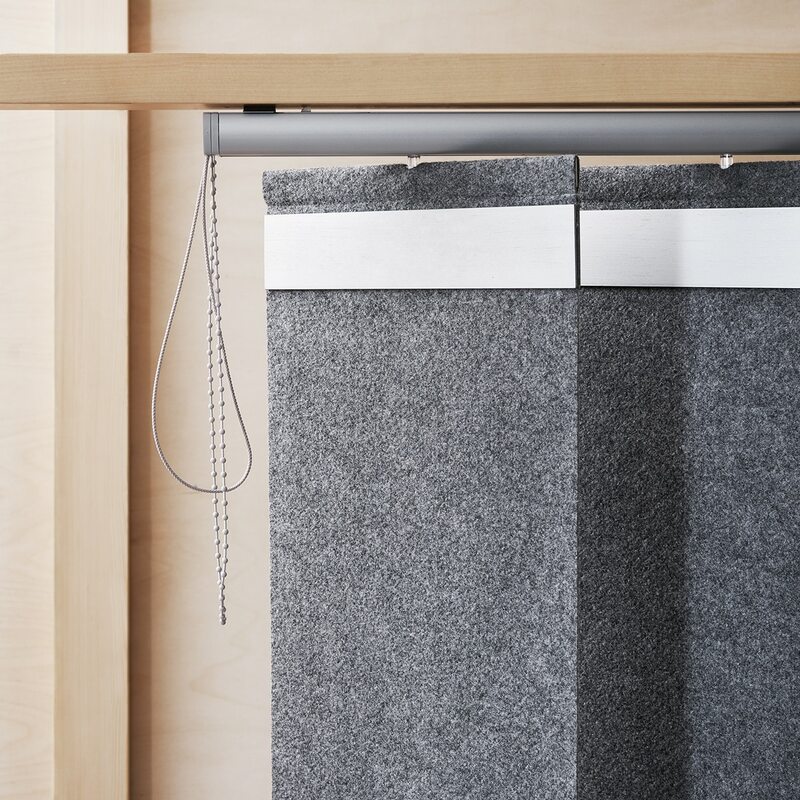 The combination of a 250 wide slat and Ann Idstein’s felt material creates a functional and acoustically efficient room divider. 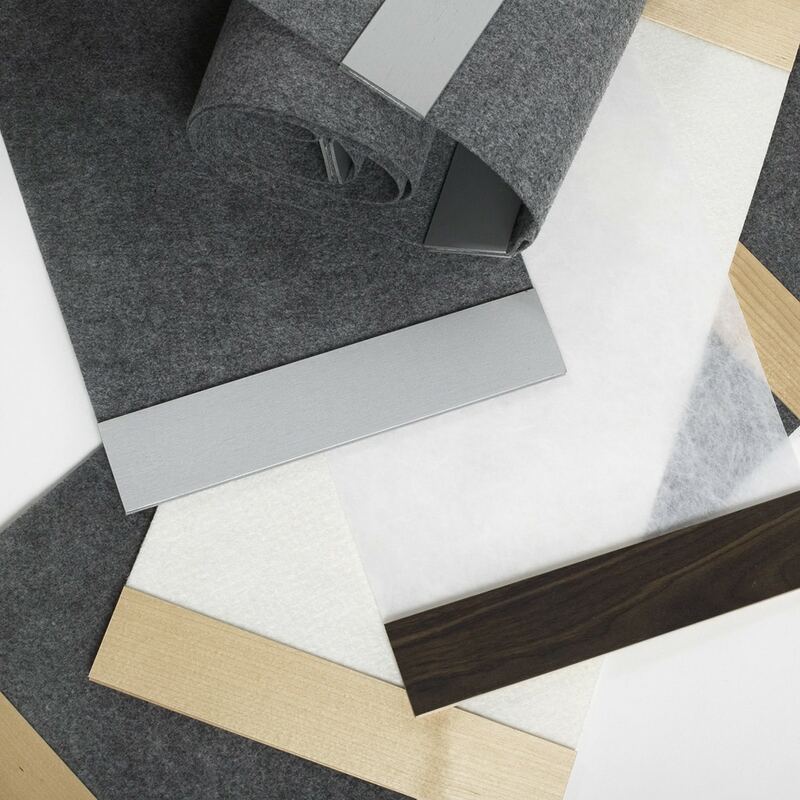 Felt material is both robust and easy to maintain. 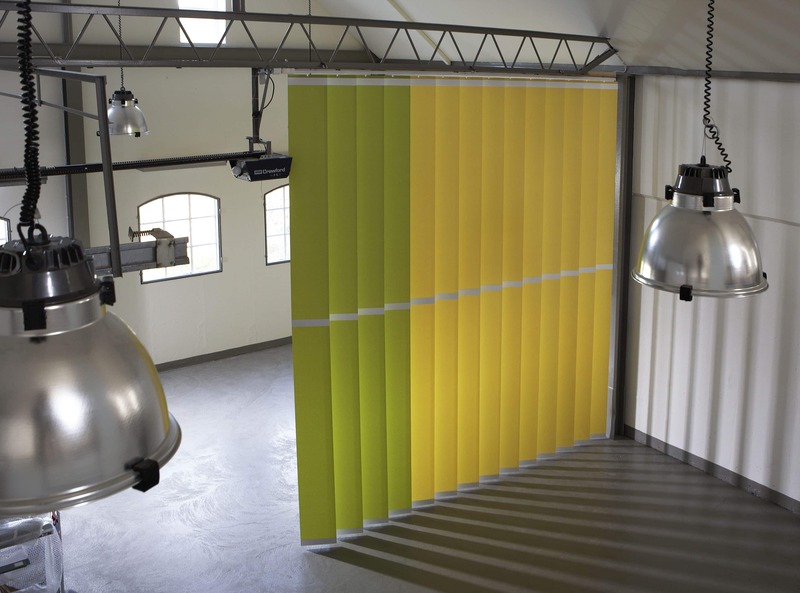 The system can be fitted to a wall- or ceiling and the rail and components are available in white or anodized aluminium. 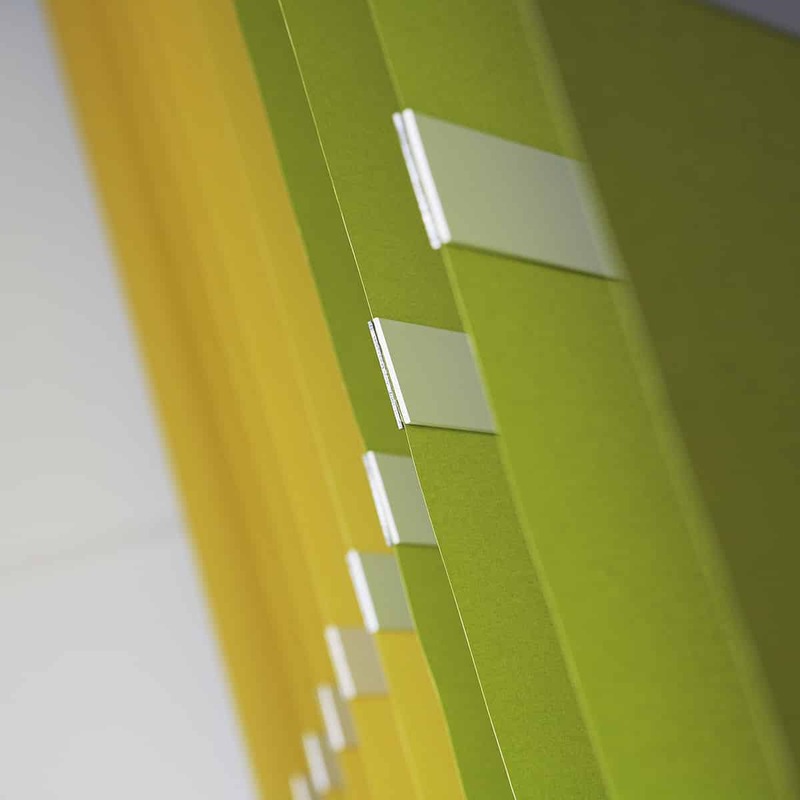 The 89 and 127 mm slats can also be used for slope ceilings with an angle of up to 60 degrees.